On our last day in Ohshima, Tammy, Mayumi and I use the tickets to an oceanfront hot springs that Mika so kindly gave us. Enchan drove over to take us to the hot springs and then to the pier. 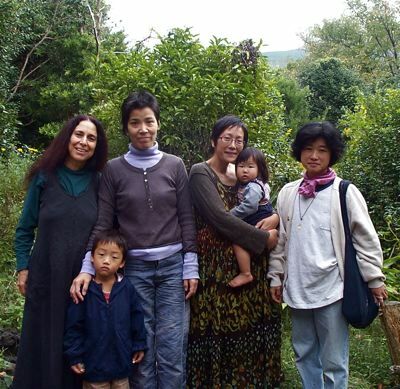 Here we are: me, Mika’s son Moto, Mayumi, Enchan and her daughter Mani, and Mika, in front of Mana’s house. 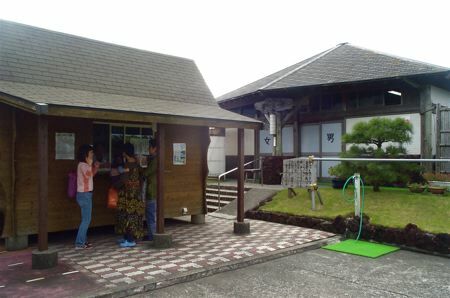 We present our tickets at the hot springs. 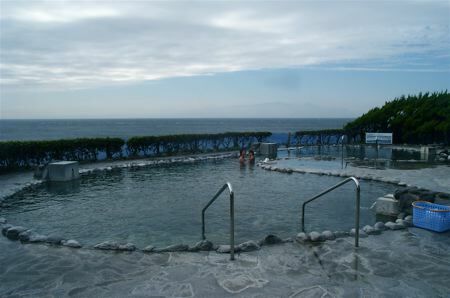 Enchan and Mani in the hot springs pool overlooking the sea. 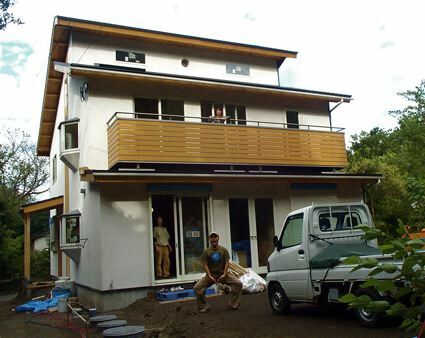 We stop to say goodbye at the house Mr. Aoyama is building. It’s almost done. Aoyama-san is at the door, Kaori is upstairs, and Tomo dances in the front yard. 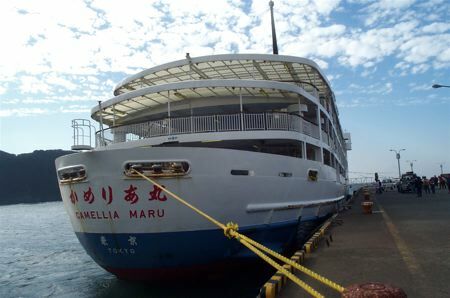 It’s the same ship we arrived on: The Camellia, named for Ohshima’s famous winter blooms. To our surprise, a group of our new friends come to the pier to bid us goodbye. 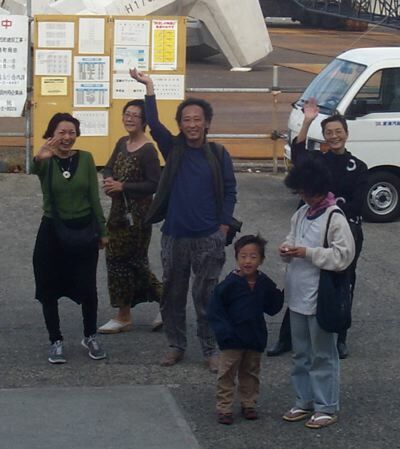 That’s Mika’s older son, plus Fusako Ogata, Mayumi, little Moto, Edo, who did the sound for our concert, me, and Mika. 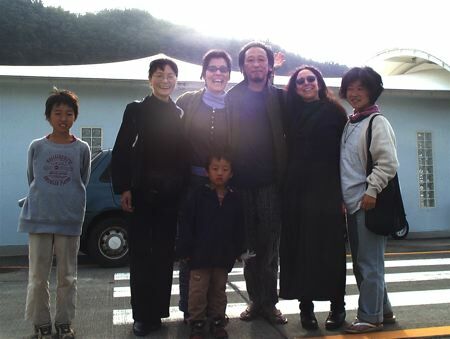 Hiro, who met Mayumi and me when we arrived and took us to the mountain hot springs, came down to wish us goodbye. She’s on the left, then Enchan, Edo, Moto, Mika and Fusako. We have tears in our eyes, waving goodbye from the ship. 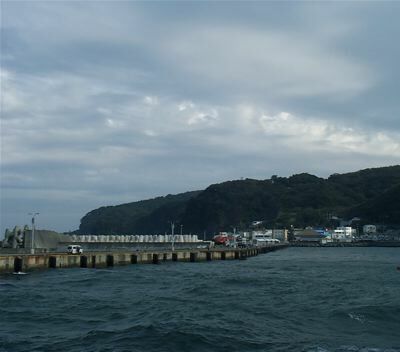 Then our ship sails off and Ohshima falls into the distance. 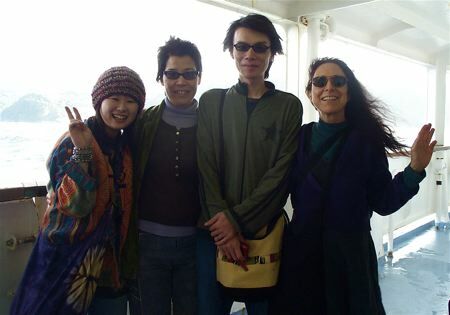 Mayumi is delighted to discover two of her friends on board the ship. That’s Foxy, Mayumi, Miya and me. 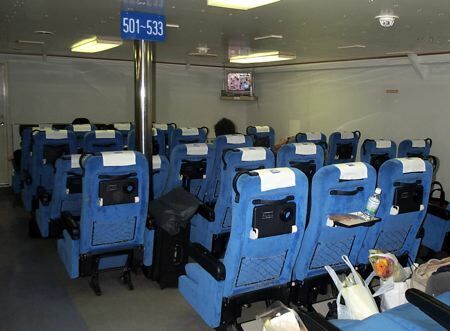 Daytime travel is in comfortable seats and takes less than four hours. We were told a typhoon was blowing, but I only experienced the most gentle rocking of the ship, truly a pleasant experience. Mayumi packed the persimmons and Asian pear that Taro gave us, and cinnamon toast she prepared from the loaf of bread that Fusako baked for our onboard snack. 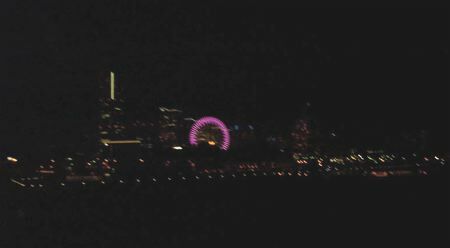 The harborlights of Yokohama, including a huge ferriswheel, greet our return.